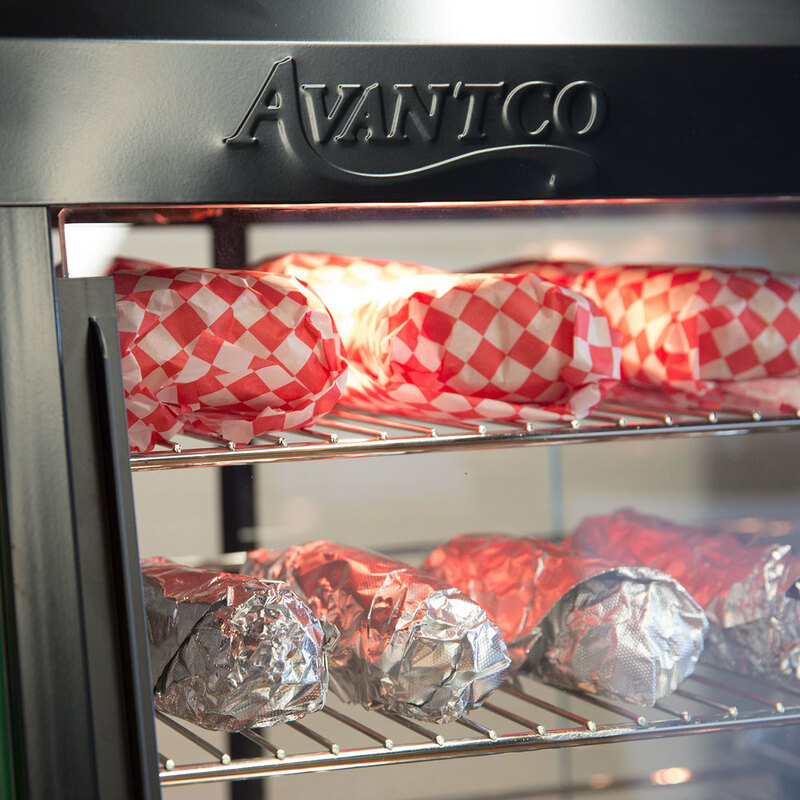 Increasing sales of pre-made hot foods such as hot dogs, burritos, and sandwiches is easy with this Avantco HDC-26 self service countertop heated display warmer! 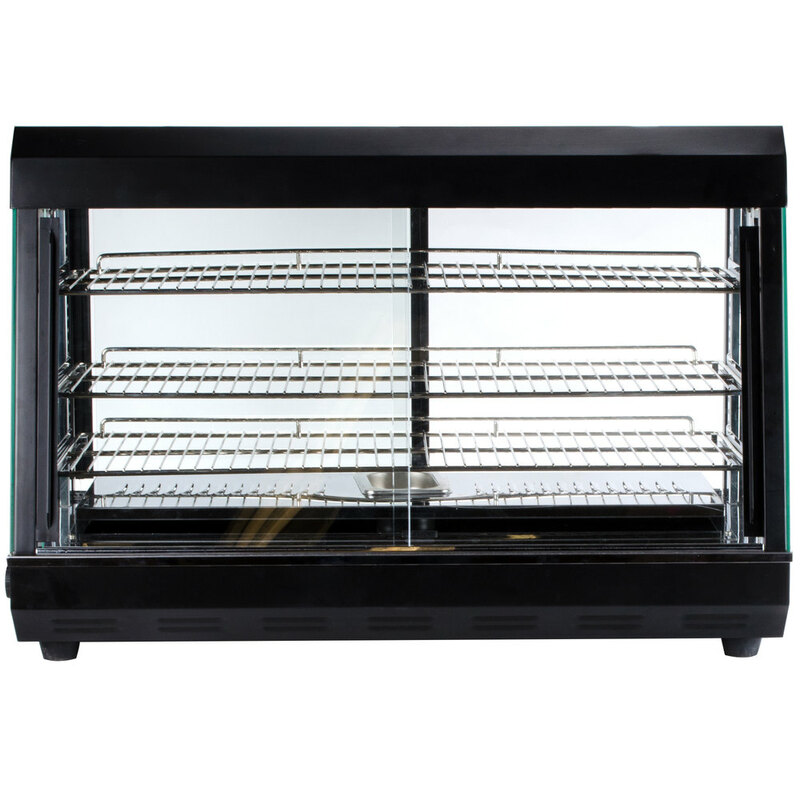 With the ability to reach 120 degrees Fahrenheit in 10 minutes and its maximum temperature of 185 degrees Fahrenheit in 20 minutes or less, this merchandiser won't hold you back when hungry customers are flocking to your business. 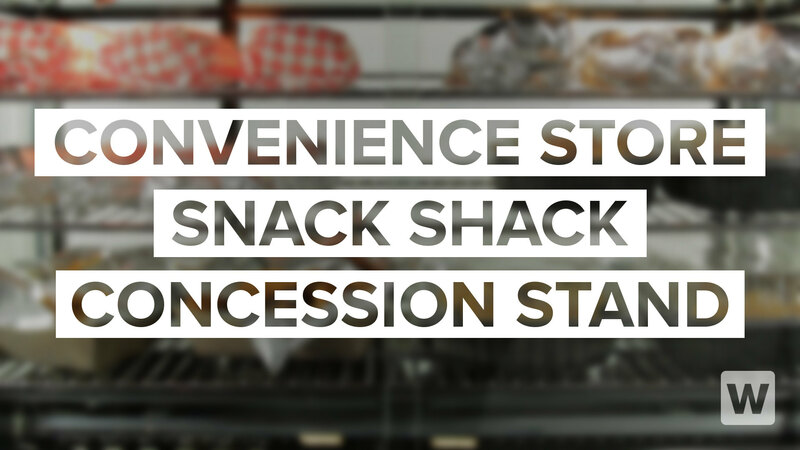 Great for convenience stores, snack bars, concession stands, and more, this 26" display warmer has front and rear sliding doors to encourage your customers to serve themselves and to allow your staff to refill the shelves from behind the counter. Its 3 tier stainless steel racks are removable for easy cleaning and provide plenty of space to show off your most mouthwatering impulse buys. 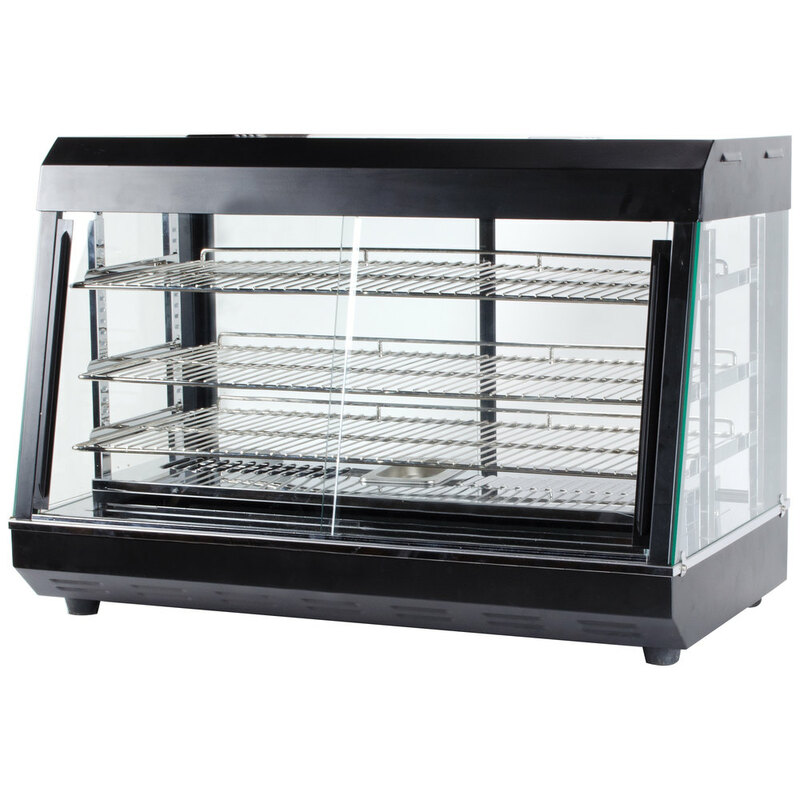 This unit has a stainless steel body with an attractive black finish as well as tempered glass doors to protect against breakage. Its thermostatic temperature controls regulate the 1500W of heat radiated by its bottom mounted heating element, while interior lighting provided by two lamps increases product visibility. These lights are controlled separately from the heat for your convenience. 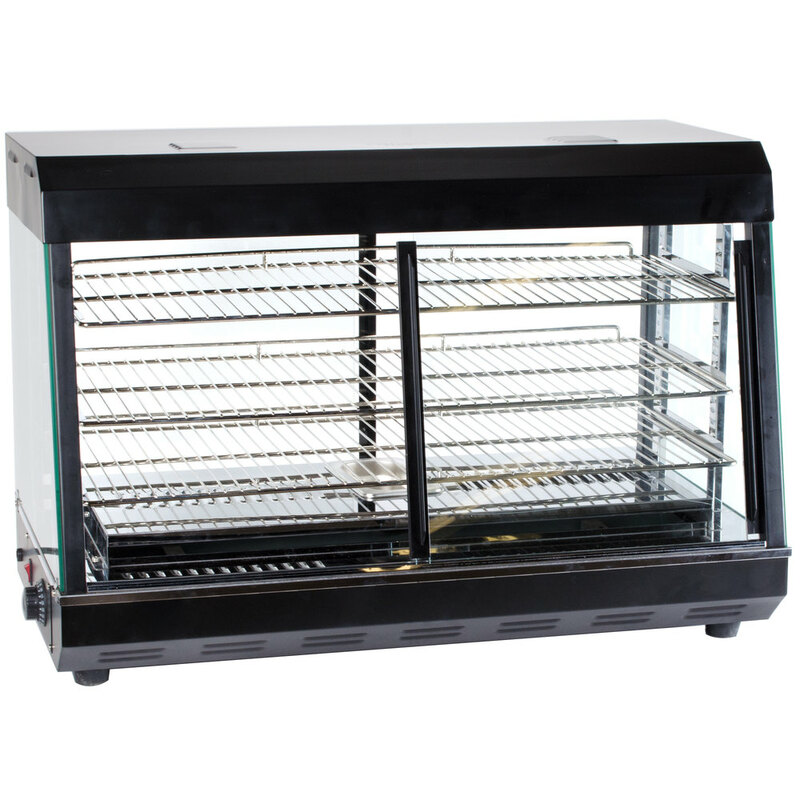 This 3 shelf countertop merchandiser has a temperature range from 85-185 degrees Fahrenheit. It requires a 110V electrical connection. This food warmer is amazing! It heats up to 185 degrees and allows for water to create humidity so your items don't dry out. It gets hot and it's big! Only wish the plug was on the other side due to where I have to place it in my shop and the doors are a little crooked, but the gap is minimal compared to its benefits. great looking product. this was exactly what I was looking for. holds all of my breakfast items I need. I would definitely buy again. You will be glad you purchased this. Delivery was prompt, products works good but it arrived with dents, scratches and chipped glass. After speaking to customer service, a new one was offered to be sent. Only 4 star because received it and a bulb was blown out. Overall the warmer is very efficient and a great size to put several items in for our grab-n-go customers. 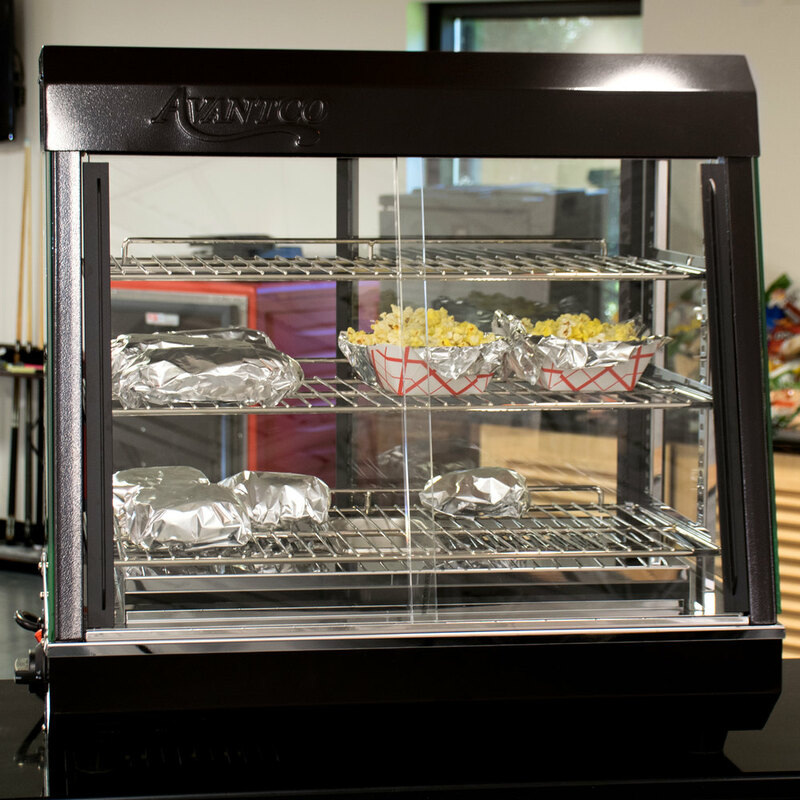 We purchased this unit to keep our to-go breakfast burritos in and we love it. Works well with either the wet or dry heat and it just has a very clean look to it overall. We had been searching for the perfect heated display to have our b tesfa and sambusa in. This display has been able to keep our counter clean and looking great with our selections!